Dr. Ronald Auvenshine is a native Texan. He was born in Waco, Texas and graduated from Baylor University in 1966 with a Bachelor of Arts degree in Chemistry. In 1971, he earned his Doctorate in Dental Surgery from Emory University School of Dentistry in Atlanta, Georgia. Following a two-year tour of duty in the United States Army as a dental officer, Dr. Auvenshine received a National Institute of Health Training Fellowship and entered the Anatomy Department at Louisiana State University (LSU) Medical School in New Orleans as a post-doctoral fellow. In 1976, he received his Doctorate of Philosophy (Ph.D.) in Human Anatomy. Upon graduation from the Ph.D. program, Dr. Auvenshine joined the full-time faculty at LSU School of Dentistry in New Orleans. While there, he taught in the Department of Anatomy, General Dentistry and Fixed Prosthodontics. He was the Coordinator of Occlusion for the dental school, and founded the Temporomandibular Joint (TMJ) and Facial Pain Clinic at the LSU School of Dentistry. 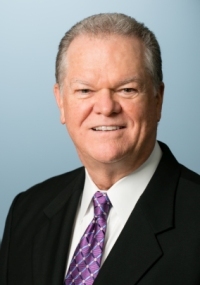 In 1978, Dr. Auvenshine moved to Houston and entered private practice. Since that time, his practice has been solely devoted to the treatment of craniomandibular disorders and orofacial pain. He was a clinical Associate Professor in the Department of Orthodontics at the Dental Branch of the University of Texas Health Science Center in Houston for twenty years. Dr. Auvenshine’s interest in craniomandibular disorders (CMD) and temporomandibular joint disorders (TMD) began while he was a student at Emory University School of Dentistry. There, he was actively involved in the Student Research Department at the dental school, working under the leadership of Dr. Parker Mahan. It was through his association with Dr. Mahan that Dr. Auvenshine’s interest in TMJ problems reached paramount height. Following his tour of duty in the U.S. Army, he wanted to develop a specialty program within the American Dental Association (ADA), for the treatment of craniomandibular disorders. This desire for the development of a residency program stimulated his interest in pursuing additional academic training. Because of his preferred and ongoing involvement in the field of craniomandibular disorders, Dr. Auvenshine has not been involved in a practice of general dentistry. His involvement in the clinical treatment of craniomandibular disorders is augmented by an active lecture schedule, through which he speaks to various societies, universities and study groups throughout the country. In addition, he continues to teach at the V.A. Hospital in Houston and is actively involved in the training of periodontist and surgery residents. Dr. Auvenshine continues to work actively with the ADA towards general acceptance and recognition of TMD treatment as a specialty. In 1988, he was one of sixteen panelists selected to meet with the ADA to discuss the current status of CMD and the standard of care for patients suffering from this condition. Dr. Auvenshine served on the American Academy of Orofacial Pain’s White Paper Committee, which worked for three years to draw up guidelines for the standards of care for CMD treatment and published a resultant document in early 1990. Dr. Auvenshine is a past president of the American Academy of Orofacial Pain and has been a member of this organization since 1985. He passed his board certification in orofacial pain and was awarded the status of Diplomate of the American Board of Orofacial Pain in 1994. Dr. Auvenshine is currently on the editorial board of Clinical Bulletin of Myofascial Pain Therapy and The Texas Dental Journal.